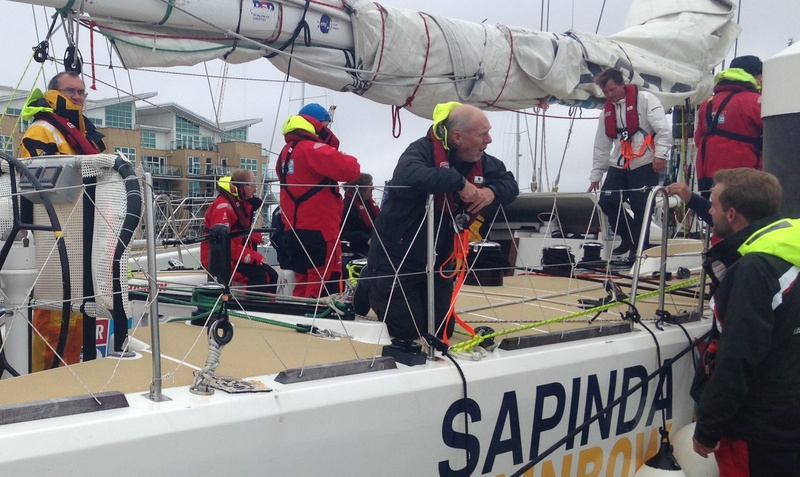 More than eleven months since departing the Clipper Race HQ Gosport, the Clipper 70s have returned to the marina where the adventure started for many of the crew last August. Whilst Unicef remains in St Katharine Docks until Sunday for open boat tours, the other eleven yachts in the fleet made their way back to their home marina, joined on board by some of the crew's friends and family as well as alumni and future crew. “I was brought up to always bring things back to where I found them so this was important for me. I wanted to get ‘Gloria’ back to Gosport because I was on the delivery to London last August. Now I feel like things are complete, London didn’t feel like the end for me. Rather than a gentle sail back around the south coast which most were expecting, the conditions for the delivery actually turned out to be pretty challenging, on the nose with gusts up to 50 knots at times, meaning family and friends got much more of an insight into the tougher aspects of the crew's experience than expected. 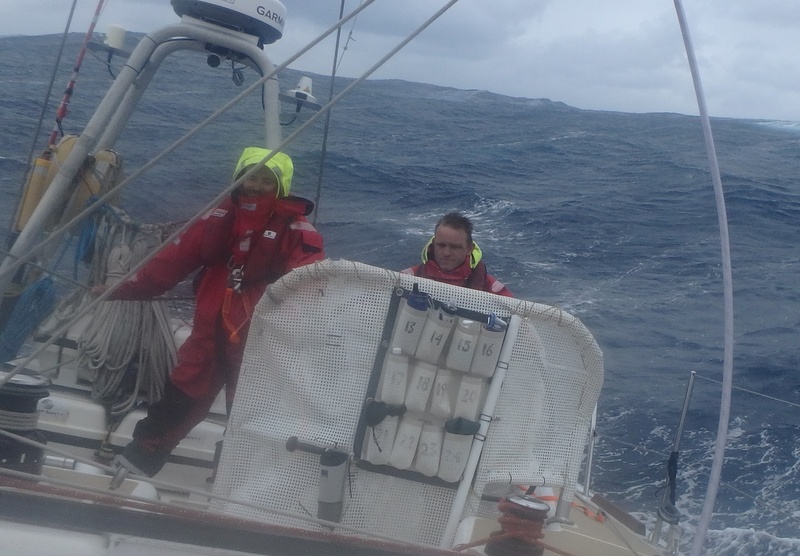 Shelley Hurrell’s husband Neil (pictured together below) raced from Qingdao to London on ClipperTelemed+ and for her the delivery provided the perfect opportunity to gain insight into what his life had been like the last five months. “The conditions were quite challenging. Neil had told me that it would be a nice, gentle sail down to Gosport, so it wasn’t quite that. But I’m glad that it wasn’t because I got a taste of what it’s like. For the crew it was clearly still easy because they have been through far worse but for me those were definitely the worst conditions I’ve ever experienced but I loved it. It was fabulous, I felt very safe on the boat and I am very, very tempted to sign up for the race. For Andrew Cross, who raced from London to Sydney in the 2013-14 race, the delivery presented an opportunity to get back on board with his Invest Africa race Skipper Rich Gould. “It was good to get back on a Clipper 70. The Clipper Race will never be out of my blood,” Andrew said upon arrival into Gosport on this edition’s South African entry IchorCoal. The delivery from London to Gosport also provided the opportunity for future race crew to get their first taste of life on a Clipper 70. Simone Talfourd has signed up for Leg 1 of the 2017-18 edition of the race and already completed her first two levels of training. “I thought this is fantastic, this is my chance to get on a Clipper 70 and look around. My level 2 training was quite choppy going across the Channel, but the big difference this time was being on board with 2015-16 race crew and seeing how they handled it. "I was on LMAX Exchange for the delivery and it was exciting to be on the winning boat, the boat were so competent and calm, they knew exactly what they were doing so I feel like I learnt a lot. The deep clean of the Clipper 70s is now underway and soon the refit will start to get the fleet ready for training ahead of the 2017-18 race edition. If you are inspired by our crew and would like to know more about applying for the Clipper Race please contact our recruitment team.